There’s certainly an art to making marketing and business development initiatives work. But the intersection of that art with the science of data is where the real magic happens. In this article, learn about the many key performance indicators you can use to tell the story of your practice. Included are some categories of metrics, and how you can put them to work as you build growth plans. Kristen Lewis is the President of the Association for Accounting Marketing (AAM) and the Director of Marketing for the Philadelphia office of EisnerAmper LLP. 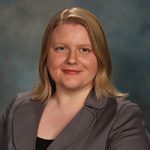 Kristen has been an active volunteer for AAM since 2004, serving on various committees and task forces over the years, as well as a member of the Board of Directors. As AAM’s current President, Kristen has been heavily involved over the past two years in the planning and implementation of the organization’s Vision 2020 strategic plan. In 2009, AAM honored Kristen as Volunteer of the Year at the organization's Annual Summit. She serves her local community as an employee campaign chair for the United Way of Southeastern PA. Kristen also serves on the Marketing Committee for the annual PACT Capital Conference. Kristen — excellent overview with good actionable advice. I’ve shared with my colleagues. Thanks!